Ramen chefs Kosuke Nagasawa and his partner Ka had plenty of time to work on their soup before striking out on their own. They were five- and seven-year veterans of another store up the street. 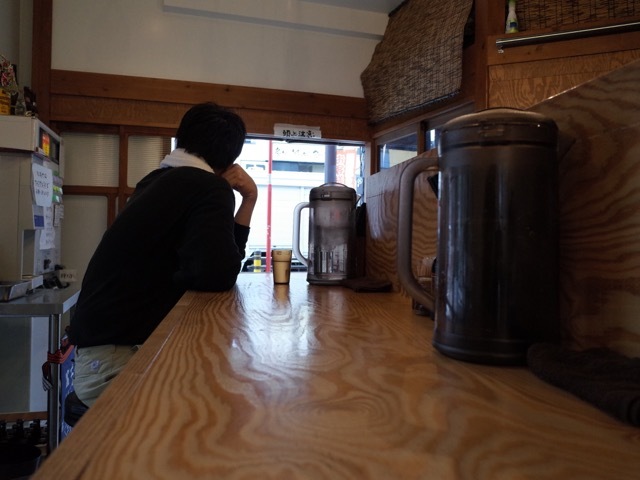 The location they chose for their own restaurant is on the corner of a lane off Kokusai Dori, near Hayashi the seal-maker. A hotel is going up nearby. We put a lot of thought into the design, says Nagasawa. It doesn’t look that way at first. The thick plywood counter, ticket machine, and stainless-steel kitchen just say utilitarian. But look closer and you see the wooden sliding doors are antique, with a fragile form that suggests a light touch. That’s how it is with the food. Hearty and robust on first impression, but actually rather delicate. No lingering heaviness. The soup is rich, but also refreshing. The slippery, creamy coloured noodles – handmade by Ka in the store after hours – have little flavour until you recognize the clean, wheaty notes. The soft-boiled egg is not salty or over seasoned. A topping of cabbage is lightly steamed and drizzled with garlic oil. Nagasawa watches you eat. He likes to watch. He wants to know if you like it. 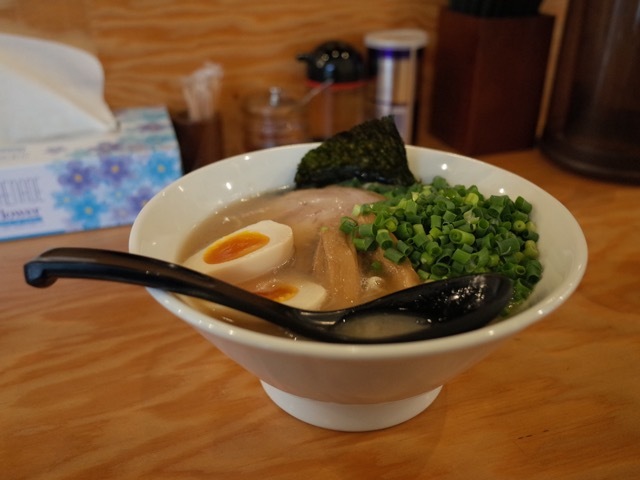 The previous store we worked at, he says, Yoroi-ya on the other side of Nakamise Dori, does a straight wa-fu – Japanese-style – ramen, and they use niboshi – dried sardines. But there’s no fish in our broth. Just pork. And chicken feet. So it’s a bit like a tonkotsu, but it’s not Hakata-style. It’s not any particular style. It’s our own.